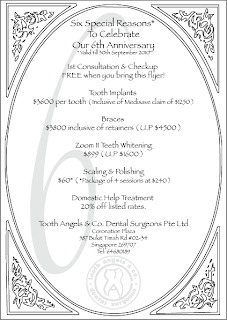 Lobang Queen: Health Lobang: Dental Promotions! 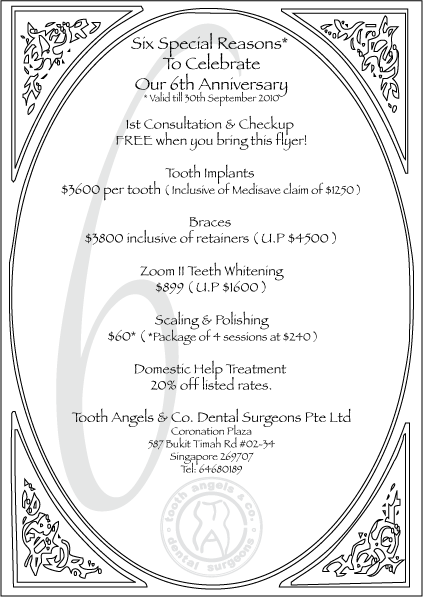 Print this out for a free first consultation and checkup! Do check out the 6 cool deals as well, they look really worthwhile. Tooth Angels is also available at Central, for those who are nearer to Clarke Quay MRT. Call 62226220 to book before 30th September 2010.